Cleaning and tidying up after the Christmas and new year break can be a bit of a mammoth task, particularly if you find yourself inviting hordes of friends and family over to your home to join in the celebrations! However, don’t get us wrong – the clean up afterwards can be a headache for everyone – when it’s your own mess, that is! Getting yourself into good habits for the year ahead doesn’t need to wait until spring – why not take the chance to go all out and start a cleaning schedule on certain days of the week to make sure that your home is guaranteed to sparkle and shine come the weekend? Take it this way – if you have kids and you work a 9-to-5 job, the weekend is likely going to be the period where you’ll see the most traffic. This hardly makes for the best cleaning period! 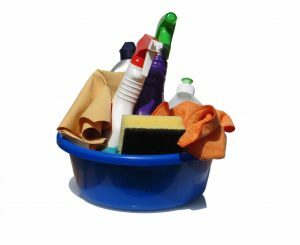 Therefore, if you do see plenty of traffic on a Saturday or Sunday – or if you are the sort of person or family to entertain in a big way on a Friday evening, it will be well worth considering starting your new cleaning and tidying regime on a weekday – why not make a fresh start to the week on a Monday or Tuesday? If you pen yourself down to doing certain tasks on certain days of the week, you’ll build yourself a nice little routine – and this will mean that your family and your home can enjoy regular cleanliness and sparkle, too. Keeping your home clean and tidy is a healthy habit to build, and for those of us who enjoy planning ahead and making room for things in our diaries, arranging for a set cleaning day or two per week is more than a good idea. However – what if you simply don’t have time to apply yourself on certain days of the week? 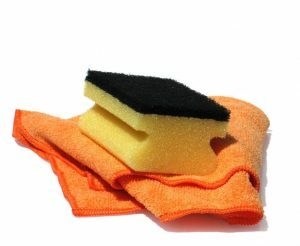 What if the days you’d like to clean on are particularly difficult for you? This is where hiring a professional and passionate cleaner and home tidying expert comes in handy – and here at Sam’s Cleaning and Ironing, we have a catalogue full of wonderful cleaning talent who will be more than happy to get your home looking as good as new on any days you’d like them to. Whether you’re looking for a one-off deep clean or are really interested in going ahead with a regular cleaning schedule, we have the team to hire. You don’t have to hire the same person on contract if you don’t want to – pick and choose from our library of professionals or build a real rapport with one or two – it’s entirely up to you! Sam’s Cleaning and Ironing represents the best in cleaning staff throughout the Chesterfield region – and you can depend on us to help find you that perfect, shimmering fit. Call us today on 07712 227517 or email us at: sam@samscleaningironing-services.co.uk to learn more – why not take a further look at our website for more information on what we do? Get yourself into great habits this year with Sam’s Cleaning and Ironing!